We are the number one Ireland and Scotland vacation company, with a proven track record of very satisfied customers, but don't just take our word for it! Please visit our comprehensive testimonial section. At Ireland and Scotland Luxury Tours we provide bespoke tours of Ireland and Scotland that are truly special. Our driver guides will ensure that your private chauffeur driven tour is of the highest quality. We like our clients to see the authentic sights and mix with the locals. We also specialize in very special destination weddings. What could be more magical than getting married in an ancient church and celebrating in a historical castle. This is a unique service and we are the only provider for Ireland and Scotland. 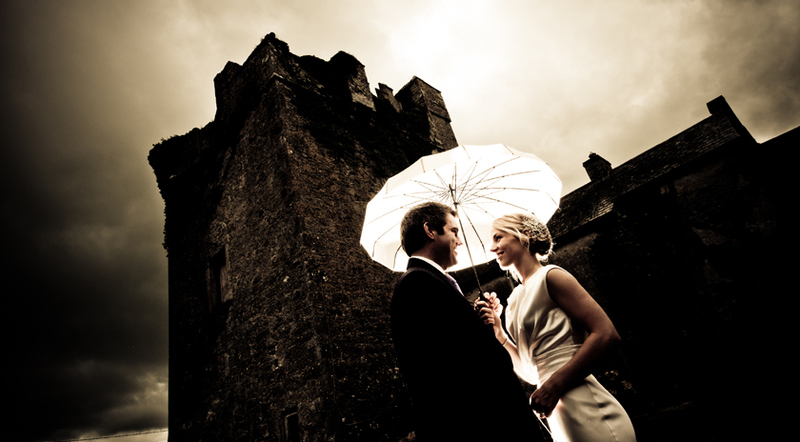 Our honeymoons also let newlyweds experience the true romance of staying in castles and manor houses while enjoying the beauty of Ireland and Scotland. One of our most popular services is our golf trips letting you experience the superb courses in both countries and throwing in a few hidden gems. Visit the historic castles of Ireland and Scotland in a guided castle vacation. What a great way to not only feel the history around these magical castles, but also to see the majestic countryside while on the road. We have arranged corporate trips and count some leading companies as our valued customers. Let us take care of all your needs and provide you with an experience in these two countries like no other. Just a quick note to thank you guys for a great trip. The hotels were all excellent. We especially enjoyed Ballynahinch castle in Ireland. Cromlix House was our favourite in Scotland. Austen is a great driver/guide and his attention to detail is exemplary. All the days were great, but the Dunluce castle day was amazing (and the scones were delicious). Over Halloween we will be seeing a lot of friends and family. We will be recommending Ireland and Scotland Luxury Tours to all of them. The only way to see Ireland and Scotland is with a local driver/guide. You guys are definitely the future of tourism. I had always dreamed of taking my family to Ireland. We decided it would be good to see Scotland as well. That’s why we contacted Ireland and Scotland Luxury Tours! What a great move that was. From the outset we were included in planning what to do and see. That made it interesting for the kids and we were able to watch them discover history. Our hotels were all fantastic. Our driver/guide looked after us like family. The food was brilliant everywhere we went. My wife and I are already planning a trip for our anniversary in 2019. 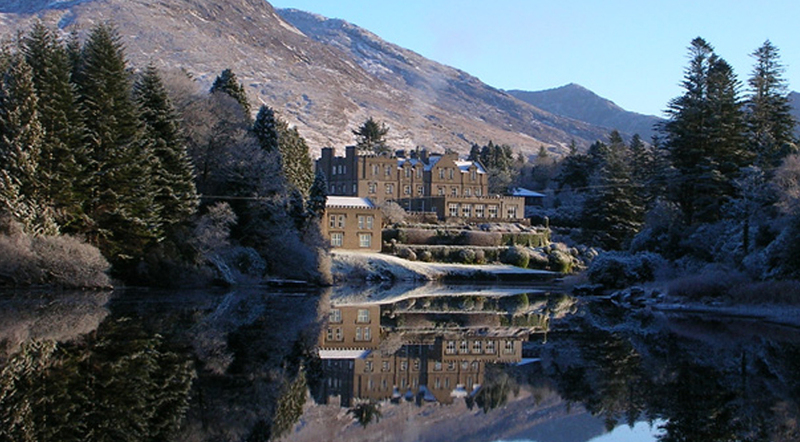 Ireland and Scotland Luxury Tours are as big a “hidden gem” as the sights they show you. We completed our 14-day Ireland and Scotland Luxury Tour October 3, 2018 and without a doubt it was the best trip we have ever taken. While this was our first trip to Ireland and Scotland, we have travelled rather extensively through Europe. We decided in July that we needed to make this trip so I went online looking for a company that would meet our needs. It was there I found Ireland and Scotland Luxury Tours. I read the pages of glowing testimonials and called Maurice Dowle to learn more. Maurice was very helpful explaining his company’s value proposition and what we should consider for our travel plans. He assisted us with not only designing an itinerary that met our needs and interests, but also provided some valuable tips on booking flights on Aer Lingus. During the planning process we had a lot of questions and Maurice was both prompt and patient with his replies. Our flight to Dublin was delayed a bit but when we got to the hotel, Maurice had already called to check if we had arrived safely. He had provided us a list of places we should see and it was our guide for the first two days. On day three, our driver, Austen Hunter arrived to drive us across the island to Sheen Falls. Austen is so much more than a driver. He has lived a very interesting life, knows the history of the sites we visited, charmed us with his Irish humor and after almost two weeks became a dear friend. We experienced 5-Star accommodations, fine dining and fun pub food through out the trip. I highly recommend Ireland and Scotland Luxury Tours to anyone looking for a quality holiday with some wonderful people who truly care about their guests. Everything written in the previous testimonials is absolutely true. Maurice and Austen created a great travel experience and we are already thinking about our return trip with them. I spent the weekend downloading the pictures from our recent trip to Ireland and Scotland and couldn’t wait to write and thank you for such a fabulous experience! Looking back at the pictures it became clear to me that each new stop quickly became my new favorite. From the hotels, castles, and historical sights we visited to the brown bread I fell in love with each morning, your careful planning and attention to detail truly made this trip a once in a lifetime experience. I have no doubt we made the right choice in hiring a private chauffeur for our journey. Your selection of Austen as that chauffeur could not have been better. So full of knowledge and just enough blarney to keep us in stitches! This is a trip I know I will be talking about for the rest of my life and rest assured I will be passing along your name to all my friends. Please give Austen my sincere thanks, a big hello to Paddy and Murphy, and until next time I give you my most humble thank you for the trip of a lifetime. We just wanted to thank you and the crew for a truly wonderful trip. As holidays go , it was right up there ! We avoided the tourist hot spots but still saw some truly amazing things. What a great balance you have. A private tour is certainly the way to go. Ireland is one of the most beautiful places I have ever seen. Scotland wasn’t too far behind. The hotels were some of the best we have ever stayed in. Great rooms , friendly and attentive staff. Your driver , Nick , was a great guy. He was so kind to us and we would love him to visit us here in Australia. Thank you very much Ireland and Scotland Luxury Tours. We just wanted to thank you from the bottom of our hearts for such a wonderful experience. But the trip really took off for us when Austen collected us from the Westbury. Great scenery and brilliant commentary, without information overload. All the hotels were superb and above our expectations. But we think Sheen Falls was our favourite. To travel around two such beautiful countries at our own pace was just so enjoyable. We loved Scotland, but Ireland is just a very special place. Thank you so very much and as we said we will be in touch about our trip in 2019. We just got back from a fabulous two week tour of Ireland and Scotland. We decided to splurge and hire a private driver/guide rather than pack into a bus tour or try to navigate the wrong side of narrow roads on our own. Well we certainly are glad we did. Maurice helped us customize our tour after taking into account what we were hoping to accomplish. The tour exceeded our expectations. We stayed in grand boutique hotels, found little known trails that took us over amazing water falls and took in some of the most beautiful countryside’s. Our drivers were walking, talking encyclopaedias of knowledge, Austin in Ireland and Jonny in Scotland. We would highly recommend both of them. They went out of their way to customize our trip for us and were always there for us whether we were looking for a local pub for a pint and some music or a great restaurant to finish off a full day. If you want a luxury packed, relaxing tour then I highly recommend you give Maurice a call. If you are planning a trip to Ireland and Scotland, look no further than Ireland Scotland Luxury tours. This was a High School graduation gift for my niece (she just completed her freshman year, first trip abroad). She wanted to sleep in a castle, seeing Ireland and Scotland. experience is one we will never forget! causeway, gusting winds and all. unique experience that you want. There is not a better way to see Ireland and Scotland than Ireland and Scotland Luxury Tours! We had been thinking of visiting Ireland for a number of years. Then we came across Ireland and Scotland Luxury Tours website. Firstly, we reached out with a general enquiry and talked to Maurice. He was excellent and suggested a 14-day tour of Ireland and Scotland. The quote was very reasonable, and we decided to travel May 2018. We have now returned home after the most enjoyable vacation you could imagine. Every detail was worked out to perfection. Our itinerary was spectacular and let us explore hidden gems all over both countries. Our driver Colin was great fun and very accommodating. The hotels were of a high standard and very well located. What surprised us most was the food. It was delicious everywhere we went. A big thank you to Ireland and Scotland Luxury Tours for help us to realize our dream, and then some! Our trip to Ireland was superb! Thanks to all at Ireland and Scotland Luxury Tours for making it happen. Great hotels, great sights, great food, great fun. Thank you Nick, for all the driving and the hidden gems. We are still jet lagged! But we wanted to get our thanks to you for a truly amazing tour. The routes we took, the hotels we stayed in all exceeded our expectations. The way to see the country is definitely using a chauffeur drive company. Let’s you enjoy the scenery, takes the pressure of finding places – the only way to go. Scotland was a surprise. I am glad we did it. The ferry we took was so easy and very luxurious. The journey was so quick. Again, the hotels were superb, and the routes were so interesting. Please pass on our thanks to Austen and Johnny. We made a last-minute decision in March to visit Ireland and Scotland in April. It was obvious it was going to be difficult at such short notice. Then we contacted Maurice at Ireland and Scotland Luxury Tours. They made it happen, sorted our route, our hotels, and gave us a driver/guide. The trip was exceptional, and we never expected to get the rooms we had let alone the hotels. The route was perfect, and they had allowed for daylight and getting us comfortable before darkness fell. We ate in “wee” pubs and restaurants and every meal was a success. In 2019 we will be returning to Ireland and Scotland. We have started planning now. Look no further that Ireland and Scotland Luxury Tours if you want a great trip. We have just returned from the most wonderful tour of Ireland. Organized by Ireland and Scotland Luxury Tours it was simply fantastic ! Our driver/guide Austen was unbelievable , full of knowledge and charm , and a very good driver. The hotels were a great mix of castles and manor houses , and all 5 star luxury. Ireland is probably the nicest place we have ever visited. The scenery is breath taking and the people are wonderful. Thank you Ireland and Scotland Luxury Tours for the experience of a lifetime. My Friend Ruby and I had always wanted to visit Ireland and Scotland. We were talking about it with friends and they recommended Ireland and Scotland Luxury Tours. From the first conversation with Maurice we felt comfortable and part of planning the trip. The tour was even better than we expected. Our route was brilliant, and we saw so much more than we ever thought we could. That was mostly due to our driver/guide Nicky. The hotels were all superb and the food was excellent (especially the seafood). Definitely the trip of a lifetime! Thank you, Ireland and Scotland Luxury Tours. Two years ago we had driven around Ireland , planned our own route and hotels. Most of the time we were lost , had our heads buried in a map , or trying to get a signal on our GPS. This year we hired Ireland and Scotland Luxury Tours to plan and execute our trip. Hotels were great , we saw a lot of “hidden gems” and it was very relaxing. We concentrated on the West and South West and saw more than we could have hoped for. 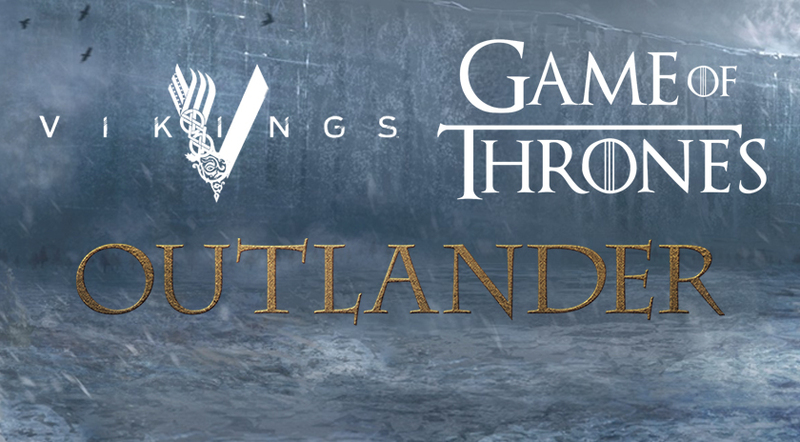 We are already planning a trip to Scotland with them for 2019. What more can we say ! Our trip to Ireland was the best touring vacation we have ever experienced. Maurice, the owner of the luxury travel company designed a personalized tour that exceeded all of our expectations for sightseeing, accommodations, and excellent tour guidance. Since we decided in August to take this trip in October, Maurice organized the wonderful tour in a shortened two month time frame. Maurice provided us the best service we ever had in preparing for a trip. He handled all the arrangements for hotel reservations, booking us into beautiful luxury hotels with spectacular window views of marinas, waterfalls and a castle with views of a wooded river which were a travelling experience in themselves and far above the ordinary tour accommodations. He also developed a detailed touring schedule assuring that we experienced all the alluring and interesting places to visit and provided us with a personalized map indicating where we would be traveling . We weren’t at all familiar with Ireland and had many questions which Maurice answered pleasantly and efficiently. A tour is only as good as the tour guide and Maurice provided us with the best. Austin our tour guide was delightful and was totally responsible for making our trip unforgettable. He is a warm, friendly, funny and kind- hearted person who immediately made us feel very at ease and comfortable. He significantly enhanced our experience by providing excellent background for the historical sites we visited, explaining the human history and the natural history of the beautiful countryside. He was indispensable in recommending places to eat and shop that allowed us to interact with the wonderful people of Ireland making the trip much more enjoyable. By the time the trip was over we felt we were good friends and we always remember him as a highlight of our trip. If you desire to experience a tour of Ireland that encompasses all the best of this beautiful country and its delightful people, you can’t do better than touring with Ireland and Scotland Luxury Tours. From the moment we landed and met Mo we were taken care of like family , and at many times , we felt elevated to rock star status. We went where the tourists are not usually found , and saw Ireland through an amazing lens and through locals eyes. We laughed our way through Isle of Green and packed it all it! All accommodations exceeded our expectations. Dinner suggestions along with must see points of interest were spot on --not to mention the hidden gems on the back roads that were always a great surprise. Once we arrived in Scotland, Jonny also treated us like family and went out of his way to accommodate our requests. St. Andrews was an add on and tailored to fit our needs , we once again saw the high points and did not get caught in the tourist traps. We would highly recommend Ireland and Scotland Luxury Tours , and are still giddy from our trip across the pond. Maurice and his staff are knowledgeable , friendly , cheeky , and professional at the same time. We got back safe and sound and now have fond memories of this holiday. Having travelled all over the world , you were right , Ireland and Scotland are very special if you see the authentic stuff. We had a wonderful trip despite the rain in both countries (to be expected I suppose). Nick in Ireland was a really kind, good man with a lot of patience. He was most helpful in every sense. Johnny in Scotland was an excellent guide who knew Scotland well. We truly enjoyed the beauty of Ireland and Scotland. My husband finally saw the Dingle Peninsula – he was a happy man that day as we had perfect weather which enabled us to see for miles. We loved in the hotel choices. We had one of the best meals ever at Kinloch Lodge in Skye. We also had time to visit my family in Belfast, Gleneagles and in Glasgow. We covered a lot of miles and saw so much. Thank you and your drivers for a wonderful trip. Ireland and Scotland Luxury Tours are a very professional outfit ! Thanks so much for helping us plan our wonderful 10 day adventure to Ireland. Our first travel experience outside of the United States was made much easier with the help of Ireland and Scotland Luxury Tours. The accommodations exceeded our expectations and the scenic views and sights were all stunning! Our driver Austen always made sure we got a true sense of the local culture and historical significance at each place we visited, in addition to avoiding some of the "tourist trap" crowds. He also kept us entertained with his Irish humor. We highly recommend your tour service and we are already planning our next trip to see Northern Ireland and Scotland! Where do I even begin? We chose Ireland and Scotland Luxury Tours because we read the REVIEWS and felt comfortable with what knew about Maurice and his team! We did not want to waste time with large tour groups, we wanted to see things that perhaps larger groups would not be able to, and we did not want to argue with each other over driving on the “right” side of the road/foreign roads/directions/maps! We ABSOLUTELY made the right choice with this company! Austen was our guide and he is hilarious! He was ALWAYS on time, knew the areas well, knew the history, and we felt very safe and comfortable with him! Maurice planned a fantastic variety of places — having a combination of the must-see sights as well as some of the lesser known sights. Austen was realistic in knowing time frames and what works better. He suggested the BEST pubs/restaurants and we loved them all! To keep this short, I won’t list our itinerary. This was our first trip there and we were celebrating my husband’s 40th birthday and our 13th wedding anniversary! Having a local Irish singer sing Happy Birthday to you was funny and memorable! We had a great time! We spent 14 days in Ireland, Northern Ireland, and Scotland, and I can’t tell you my favorite place because it was ALL amazing!!! Every hotel was great. Craft beers, the Cliffs, castles, golf courses, whiskey, ancient and recent history, Giant’s Causeway, Loch Ness, the food — I could go on and on and write several pages! I really can’t say enough about how perfect the trip was! Everyone was nice! We look forward to another trip with Ireland & Scotland Luxury Tours in the future because 2 weeks was not enough time for us! Thank you, Mo, for a wonderful experience! You took the pain of planning away and made it very easy! We were able to relax and just enjoy the vacation - instead of being stressed about the details. Thank you, Austen, for putting up with us and being the best driver and guide!!! You won’t regret choosing Ireland & Scotland Luxury Tours! We were looking for a company that provided chauffeur driven tours of Ireland and Scotland. We found Ireland and Scotland Luxury Tours on the internet. After making an enquiry through the website Maurice contacted us by email. He also spoke to us by phone a number of times. Working with him we created a tour that gave us everything we wanted and a little extra. The hotels were all four star and above. We got to see great parts of Ireland and then move onto Scotland. Everything was of the highest quality. Our driver/guides were fantastic. We had Austen in Ireland and Johnny in Scotland. It was nice to travel with a true Irishman and a true Scotsman, and they know all the best spots to see. If you have never been to these countries and want to see them properly then Ireland and Scotland Luxury Tours is the company to use. We are already planning to return as soon as possible. I booked with Ireland and Scotland Luxury Tours on the recommendation of a friend. They said that this company would look after us and make sure we saw the best of both countries. It was actually far better than that! Our driver Austin took care of us impeccably from the moment he collected us at the airport. Our hotels were excellent and we loved every minute of the trip. Our favorite place was Sheen Falls, though Ballynahinch Castle and Cameron House were not far behind. These are top class hotels with all the charm you would expect in Ireland and Scotland. If you want a tour of Ireland and Scotland that is truly high quality then I recommend these guys. With all of the recommendations they will surely be busier than ever. We had a wonderful tour of Ireland with this company. The itinerary was just what we had asked for. The hotels were very good and the food was fantastic. But the real success was the relationship with Austen our driver. He made sure we saw the real Ireland, met the locals, and visited hidden gems. To find ruined castles and churches on small back roads was exciting and we felt like explorers. If you really want the trip of a lifetime look no further than Ireland and Scotland Luxury Tours. At first we thought the price was above our budget, but we took a chance. We certainly got value for money…. And then some! We booked a tour of Ireland and Scotland to see these countries for the first time. We wanted the freedom of a private tour rather than the time constraints of a coach tour. What we got was a tour that gave us input into the sights and plans. Ireland is beautiful and Scotland was equal if not better. Dublin was interesting and Edinburgh castle was one of the best we have ever seen. But for us Kylemore Abbey was the winner. Our vehicle was roomy and comfortable and our driver was wonderful. Hotels were great and the people were so friendly. If you want to get the best from both these countries try Ireland and Scotland Luxury Tours. What a marvellous time we have shared with you ! Overall the trip was amazing. The hotels in both Ireland and Scotland were amazing (above our expectations). The itinerary was fantastic and we saw incredible sights. Thank you for adjusting the trip as we went to let us enjoy the distilleries ! We enjoyed your jokes , teasing , and historical titbits. You are an amazing ambassador for your country and culture. A huge thank you for a great tour of Ireland and Scotland. In particular we really appreciated your attention to detail and your commitment to making sure we got the best of the day. The route was brilliant , the hotels superb , and the little places we stopped at were incredible. We had a wonderful time in both countries. It was definitely a 10 out of 10 experience. We will recommend Ireland and Scotland Luxury Tours to all of our friends and colleagues. Just to let you know what a wonderful tour of Ireland we had with Austen. We loved the North coast and Kylemore Abbey was just so special. The breakfasts were huge and real quality , and the pub food was great too. We liked the traditional Irish music sessions , and the locals who just get up and sing were brilliant. I feel that we have seen the REAL Ireland ! Thanks for everything and we hope to see you in 2017. Just a quick email to say thank you for our tour of Scotland. We had never been to Scotland before , and boy did we choose the right company to see it. Our experience was top notch. 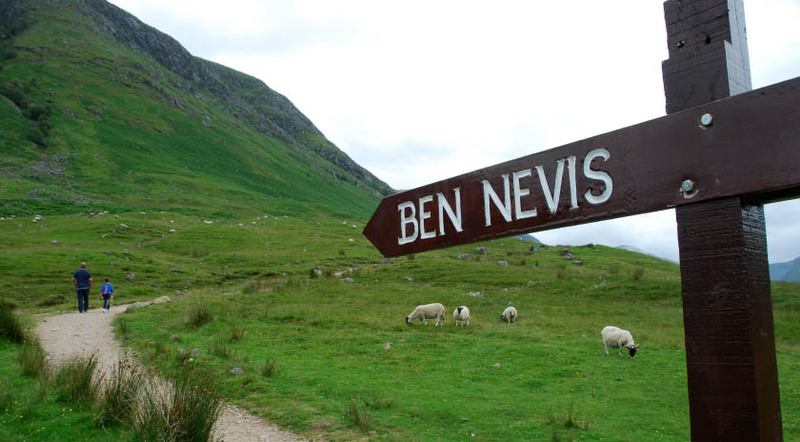 Favourite places were definitely Loch Ness , the Highlands , and Edinburgh. But it was all great. Thank you so much Ireland and Scotland Luxury Tours. Our 2016 trip to Ireland and Scotland was absolutely top notch ! 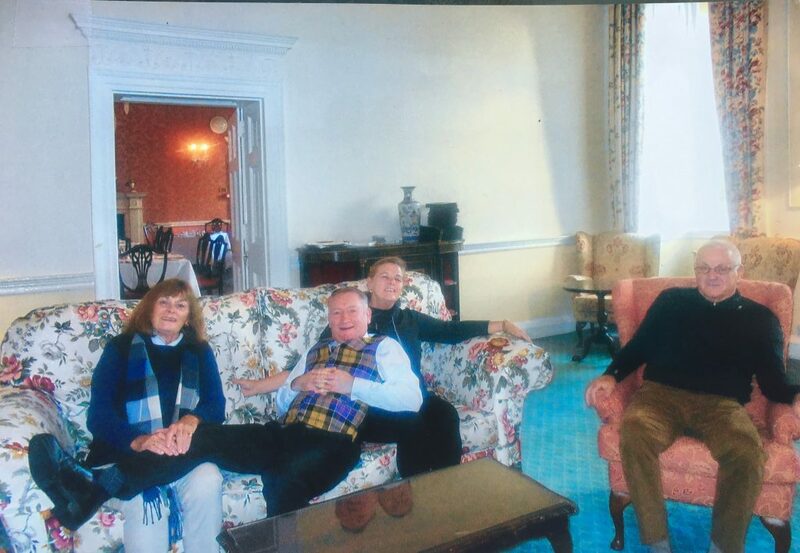 Maurice and his folks at Ireland and Scotland Luxury Tours attended to all the details and went overboard to make sure our vacation was very special to us. They planned our itinerary , selected our hotels , and gave us practical tips to get more out of the trip. Our driver , Austen , was passionate about his job and very helpful. We saw all the hidden gems and listened to the most incredible music in local pubs. 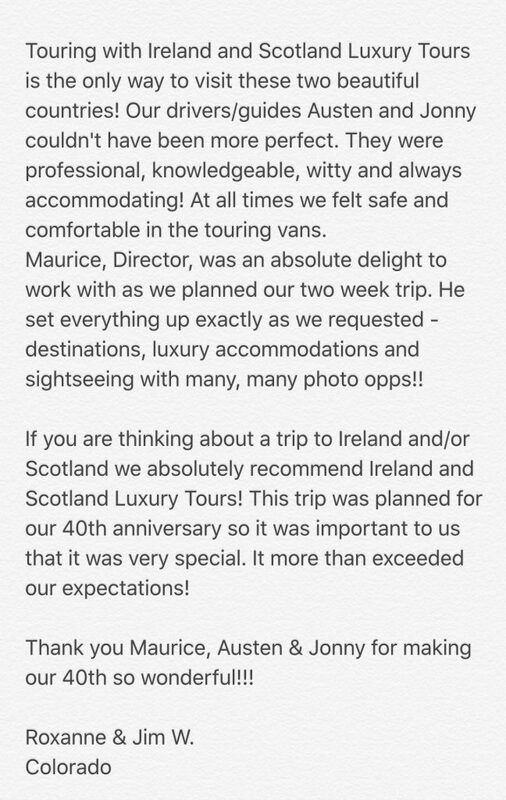 We would definitely recommend Maurice to anyone who wants to enjoy a luxury vacation on Ireland or Scotland. When you go on holiday you want to relax have fun and make memories. This can be done on your own to some extent. You can even go with the group on a tour bus. You will no doubt see everything on the brochure. However what about meeting local people and learning about the area you are visiting ? The best way to do that is with a personal guide. Ireland and Scotland luxury tours has done this for my family and I twice. Ireland is a small country but cannot possibly be explored completely in a matter of a few days. It truly takes multiple times. Maurice Dowle and his company are amazing and made sure our holiday was like none other. You learn more about the area than is even written. You learn the truth about myths and legends (depending upon who you talk to !! ) , and see places that aren't on a generic brochure. He has special people on his team (thanks Austen) that cater to your specific areas of interest. What better way to spend a holiday. Plus you make new friends! Many thanks for making our trip to Ireland such a pleasurable experience. The hotels were excellent, the scenery magnificent, the weather Irish, the crowds non existent, and we thoroughly enjoyed your company. We will have no hesitation in recommending you to our friends. So glad to see that Connacht made it! Here we are, safely back home, listening to Irish drinking songs with a glass of Irish whiskey in hand, reminiscing on the wonderful week we had in Ireland. It is indeed sunshine in a glass! It is a drink that magnified our joy and happiness in the recalling of the beautiful countryside and the friendliness and unfailing helpfulness of everyone we encountered. We enjoyed Dublin and its history and celebration of 100 years of independence. We felt we had seen the essential beauty of the country and its people. From the beginning, (fraught with should we should postpone or not due to personal reasons) to the end, you have been a gracious host. Just to let you know that we had a wonderful time in Scotland. Johnny was a superb driver/guide and looked after us very well. We enjoyed Loch Lomond and Loch Ness but the highlight was Stirling castle. Our hotel in Edinburgh was also fantastic and the castle is a must see for any visitor to the city. We will be back soon to see Ireland !! Once again you and your staff have gone above and beyond in making our second tour with your company one of pure bliss!! This trip was a gift to our granddaughter for her 16th birthday. On our first phone call you listened to her wish list and then planned an itinerary that included as many of the sites/activities we could experience in our eleven day tour. Megan smiled her way through the entire trip and will cherish it forever. Each day provided so many wonderful views, experiences and memories: the Highlands countryside, Ben Nevis, cruising on Loch Ness, Urquhart Castle, Cairngorms, ferry ride to Northern Island, Belfast, the murals, Ballintoy Harbor, Dunluce Castle, Giants Causeway, Titanic Museum, Galway, Kylemore Abbey, Cliffs of Moher, Sheen Falls, Dingle Peninsula, Kenmare, Falconry, Blarney Stone, etc …. The wonderful hotels and castles you reserved for us were second to none; Cameron House, Bunchrew House, Culloden Hotel, Ballynahinch Castle and Sheen Falls Lodge. The accommodations, food, and staff at each were excellent. The schedule you created allowed us time to engage in a leisurely breakfast or dinner, the grounds and rooms. We especially enjoyed our time at Sheen Falls Lodge. Megan and David loved participating in the falconry activity. Thanks for suggesting it Mo! Most importantly our drivers, Johnnie in Scotland and Austen in Ireland, were top notch! We never felt rushed and loved all of the history lessons they so easily and knowledgeably provided. They listened to our wants/needs and adjusted the day accordingly. It really made a difference knowing if we saw something that caught our eye, we could pull over and check it out. 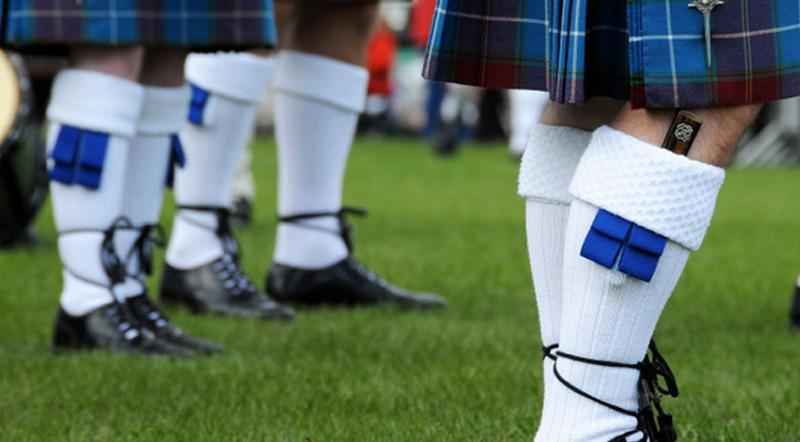 We will continue to recommend your company to all that want the best of the best when touring Scotland/Ireland. My husband and I, along with our friends, booked a tour of Ireland and Scotland through a company that was recommended to us. That company was Ireland and Scotland Luxury Tours. From the point of booking to the journey to Edinburgh airport to catch our flight home it was excellent. We saw the real Ireland and Scotland, met the locals, and made lifetime memories. Castles, churches, coast, rolling hills, and rugged mountains – we saw them all. The hotels were all excellent with huge breakfasts and sumptuous rooms. We had nights in local pubs with live music and singing that were brilliant. Our driver/guide (Austen) was simply the best. He made sure we had a great time. We will all now be recommending Ireland and Scotland Luxury Tours to all of our friends. I wanted to send a big thank you to you and your company for our wonderful vacation in Ireland. I am not sure which was my favourite part but I think the tour of the Beara Penninsula is at the top of my list. The hotel's were amazing and we had the best rooms with great views. Once again thank you and I look forward to returning to your beautiful country. Ireland and Scotland Luxury Tours is simply the best !!! Thank you Ireland and Scotland Luxury Tours. My five girlfriends and I recently spent a delightful week touring the south and north of Ireland with your driver, Austen. From start to finish , our tour was wonderful – Dublin , Sheen Falls , Ballynahinch and Belfast. Austen kept us entertained with his Irish wit and there seemed nothing too much to ask of him. He was always agreeable to including last minute , happened upon , shopping stops and had a wondrous ability to find bathroom facilities in the middle of nowhere. Our accommodations were top notch as well. Thank you for so many memories of beautiful Ireland. for our wonderful vacation in Ireland. of the Beara Penninsula is at the top of my list. A year ago, we were in Ireland. We had an amazing time and talk about it often. So blessed to have had the opportunity to experience the place where some of my ancestors came from. If your are looking to visit Ireland, I encourage you to look into Ireland and Scotland Luxury Tours we had an amazing time and Maurice Dowle was an amazing tour guide. Mo, I hope to see you again some day! This letter is to send a huge “THANK YOU” to you for putting together a wonderful trip through the Emerald Isle for the eight of us. We have all arrived home without incident and with great memories of sights seen , outstanding lodging , challenging golf , food and drink at a very high standard , all at a very reasonable price. First , Brendan was fantastic as our driver. His 10 passenger Mercedes minibus was just right to accommodate all of our luggage and golf gear and was very comfortable as we travelled along with plenty of room inside. Entirely reliable and punctual to the minute , he is an excellent driver on those narrow roads and we always felt comfortable and travelled stress free under his management. Beyond that , however , he was an excellent guide as well. He has a wealth of knowledge about the history of Ireland and the places to visit , fitting them in nicely with our itinerary but always with plenty of flexibility and presenting choices for group decisions. Lunch spots were always in welcoming local pubs with interesting and entertaining histories. Moreover he has a cheery , positive personality which made travelling with him for two weeks a delight …… he is good craic ! You have mentioned using our itinerary as a model for others to consider. We agree. We all agreed that limiting golf to every other day , as you recommended , was much better than setting off in a mad rush to travel and play on a daily basis. The route took us completely around the island giving us the opportunity to experience the lush green country of the south , the rugged mountains around Killarney and Kenmare , the barren landscape of Connemara , the incredible and highly variable coastlines and the many picturesque villages and lovely towns and cities. Belfast with the Titanic Museum ….. not to be missed ….. the beautiful marbled city hall and the sadly divided neighbourhoods with their street murals. Lunch at the historical Crown pub was a treat. All of the lodging was over the top and two nights at each stop , except the Sandhouse , was just right. Each place was unique , very comfortable and well run. The golf courses were great and provided a nice mix of the “famous” ……. 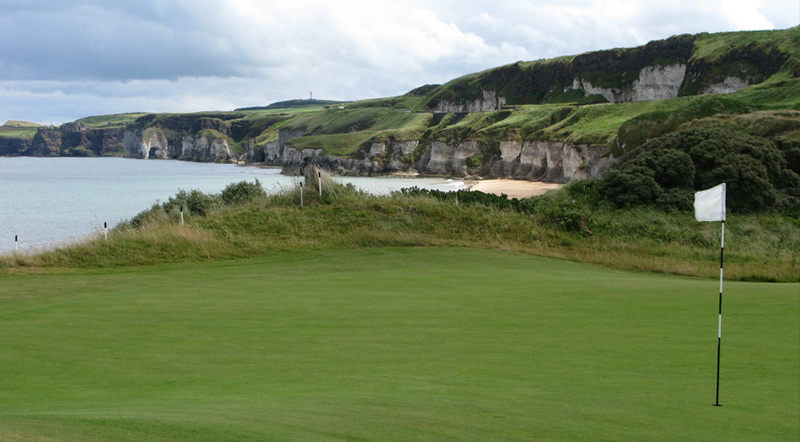 Royal Portrush and Ballybunion ….. with the “local” ……. Ardglass (what a gem) and Donegal. Each was unique and very much a fine golf experience. I could go on but you get the point ….. we four couples were very happy campers on a trip that you provided that went off without a hitch , provided outstanding lodging and sightseeing with great golf and with a driver and guide who was a treat to travel with. MANY THANKS ! I just wanted to take a minute to thank you for the wonderful Irish vacation you planned for us. Our accommodations were top notch. The golf, while hard for me, was truly worth every penny of it. Brendan was an exceptional tour guide. He was friendly, knowledgeable and flexible, even taking Rick and I to Waterford to see the Waterford crystal tour. I loved that! We found the Irish people to be wonderfully helpful, friendly and fun loving. So for us, it was two memorable weeks. We arrived home safely from our wonderful Ireland tour experience. Thanks so much to you and Austen for providing us with such a well organized and yet flexible tour of your beautiful country. We appreciate all of the effort that went into this adventure. On behalf of Beverley and myself I want to thank you for a job well done. You promised a trip of a life time and you delivered ! We always felt loved and wanted in your presence. The scenery is spectacular but the people are the ones that make Ireland special. You and your staff are all that is wonderful about Ireland ,warmth , humor and the gift of the gab. The places you took us to and our accommodations were top notch. The golf was spectacular and is a life time memory. Everywhere we went from Southern Ireland to Northern Ireland everyone knew Maurice and Austen and all greeted us with smiles and respect. You have made this trip memorable and I would encourage anyone coming to Ireland or Scotland to use Ireland and Scotland Luxury Tours. Maurice ….. all we can say is …..WHAT A TRIP ! You made this very special for all of us. From the kids to the grandparents we all enjoyed the tour. To see so much of Ireland and Scotland in just 14 days was remarkable. But to see it in such a relaxed way was even more remarkable. It was only when we looked at our tour map that we realized where we had been and what we had seen ! The hotels were fantastic and the food was even better. We will be recommending Ireland and Scotland Luxury Tours to all of our friends and as you know I am already planning a golf trip for next year with you. Since today is St. Patrick's Day, we are thinking of you and the wonderful day we spent with you as our guide for a day trip out of Dublin on February 24, 2015. Even though you could not control the weather we had a great time and appreciated your suggestions on how to make the most out of the limited time we had. But even more important it was a great way to learn about the history and people of Ireland. Your enthusiasm for sharing your knowledge, humour and personal stories were better than any guide book. We hope to return, with more time, and would live to have you guide us and educate us on other parts of the country on a tour of Ireland. Good luck and we hope to see you again with Ireland and Scotland Luxury Tours ! We found Ireland and Scotland Luxury Tours on the internet and contacted them because we wanted a tour that was a little different to anything on offer from other tour companies. They created a tour of Ireland that included sightseeing , golf , sailing , and fishing. Everything we wanted and more. We even had the chance to try falconry. Some of the hidden gems we visited were spectacular and we were the only tourist there. Their choice of hotels and bases was ideal and our guides were all excellent. People had told me that the food in Ireland could be average but we had excellent food during our tour. From breakfast to dinner we ate very well and the soups and scones were our favorites. This company know how to treat clients and will make any type of Ireland tours the experience of a lifetime. Ireland and Scotland Luxury Tours created the holiday of a lifetime for my wife and I this year. We were apprehensive about chauffeur drive , but what a great decision ! Everything was perfect from start to finish. The service begins when you arrive at Dublin airport and finishes when you check in for your flight home. The driver/guide was excellent and we have stayed in contact with Austen since returning home. The hotels were unique and simply perfect. There were a few that we didnt want to leave. If you want a tour of Ireland that takes you off the beaten track and lets you see the real sights and people , then look no further. Ireland and Scotland Luxury Tours will be our first choice when we visit Ireland again in 2014 !! Our trip to Ireland in 2013 was planned from start to finish by Ireland and Scotland Luxury Tours. All I can say it was a total success. A really unique Ireland tour for all the family. This company provided us with Stephen who was a great driver/guide , they booked hotels that were both comfortable and fantastically located. We saw some real hidden gems too. The restaurants they recommended were local and the food was wonderful. The music was great fun !! We are so glad that we asked them to organize our tour of Ireland. Definitely a five star experience all the way. If you want to enjoy Ireland then talk to these guys !! Three generations of our family (8 of us) went on the trip of a lifetime …. an Ireland tour. I must admit that I was not sold on the idea of a tour guide in the beginning. My husband and I had visited Ireland a number of years ago, just the two of us, and we rented a car and went out on our own. It was a great trip, but years later, and a larger group, made me agree with my travel agent that this was the way to go. I am so glad we did. We had a wonderful time with no stress. Maurice took us to places that we would never have seen on our own. All of the hotels were taken care of for us and they were all great. Maurice was also very flexible with us. When we wanted to stop and shop, or change the itinerary just a bit, he would do so wherever possible. He had a great sense of humor which helped to pass the time as we drove from one destination to the next. Believe me when I say, this is the only way to go. This is the way for any tours of Ireland that you are planning. I would do it again in a minute. Thanks Maurice for the great time! Ireland and Scotland Luxury Tours are the best !! My wife and I decided to take her mother to Ireland in October 2013. We contacted Ireland and Scotland Luxury Tours , who were recommended by a friend in Toronto , and we were impressed from the first email. The planning , the hotels , the sights we saw , were all of the highest quality. They arranged a tour that allowed us to enjoy ourselves with some golf and fishing but let my wifes mother see some churches while we did. Their level of service was exemplary and I would advise anyone thinking of visiting Ireland to contact Maurice and his team. Their tours of Ireland are simply the best! 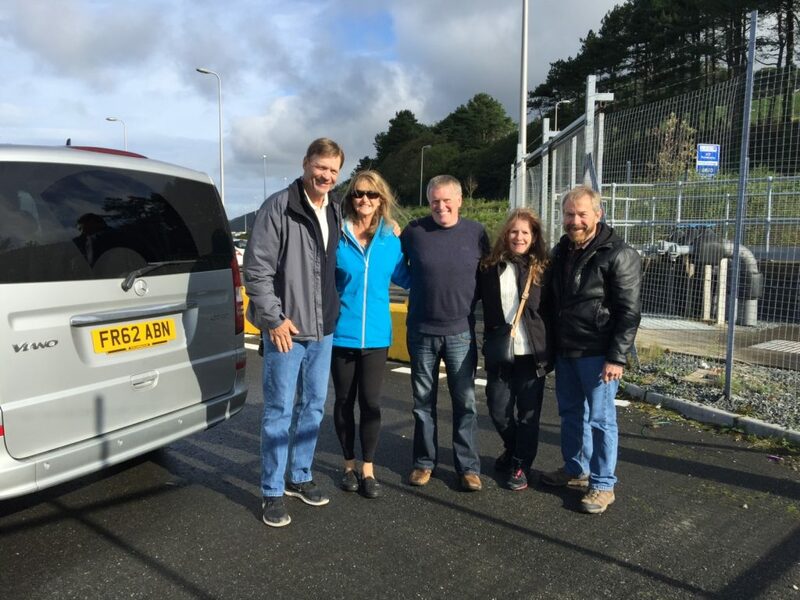 My family and I planned our tour of Ireland through Ireland and Scotland Luxury Tours this year. I didnt want to drive and we wanted somebody to take us to the “real Ireland” rather than the tourist hot spots. Maurice and his team created the most wonderful trip taking in all the “must see” attractions , but also all of the real hidden gems. Our hotels were superb and the food was excellent , but most importantly our driver/guide was simply the best. We saw the major sights but it was all the hidden castles , churches , beaches , and history that we will remember forever. If you are planning any Ireland tours then Ireland and Scotland Luxury Tours is the way to go. We certainly plan to return in 2015 ! My husband and I have just returned from the most wonderful tour of Ireland ! Ireland and Scotland Luxury Tours planned a trip for our anniversary and it was magical. We stayed at castles , we saw stunning coastline and scenery , and we ate like kings. They could not have done any better……it was perfect ! If you are thinking of visiting Ireland , and it is a beautiful country to see , then look no further than the Ireland and Scotland Luxury Tours team. They will create the perfect Ireland tours for all tastes and ages.